Proterra’s EcoRide BE35 battery-electric bus has become the first heavy-duty electric transit bus to pass the Federal Transit Administration’s Altoona bus testing, according to the company. Conducted through the Larson Institute at Pennsylvania State University, Altoona testing simulates the use and strain a bus will undergo during its 12-year durable life. 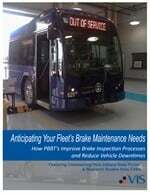 The testing is required on all new model buses before they can be purchased with federal funds. In addition to being the first heavy-duty electric transit bus to pass, the EcoRide BE35 is also the first zero-emissions full-size bus to pass Altoona and was proven to have both the highest fuel economy (22 mpg average) and lowest noise (57 dBA or 10 times lower) of any full-size passenger bus ever tested, officials said. Testing revealed no Class One failures (those endangering physical safety of passengers) and a limited number of more minor failures, such as broken pins and mountings, all of which have been addressed and resolved through Fall 2012 production. Proterra’s EcoRide BE35 battery-electric buses recharge in less than 10 minutes, ready to serve the community with clean electric powered bus service as a direct replacement for existing diesel and CNG buses. The 35-foot long buses are made of lightweight composite materials and are powered with state-of-the-art battery technology. As a result, the buses have zero emissions, run virtually silent and are 600% more fuel efficient than diesel buses. The company’s buses have been or soon will be in operation in the following cities: Austin, Texas; Burbank, Calif.; Columbia, S.C.; Fort Lewis, Wash.; Pomona, Calif.; San Antonio, Texas; Tallahassee, Fla.; Seneca, S.C. and Stockton, Calif.